For the purposes of this article we will go through the manual steps of configuration (on Ubuntu Server) though you should absolutely be using a configuration management tool such as Ansible to automate these steps in a production, as we have. This instructs the Rsyslog daemon to pull in any configuration files contained in the directory /etc/rsyslog.d when it loads. We will use this to set up a special configuration to pull-in and forward our formatted nginx logs momentarily. 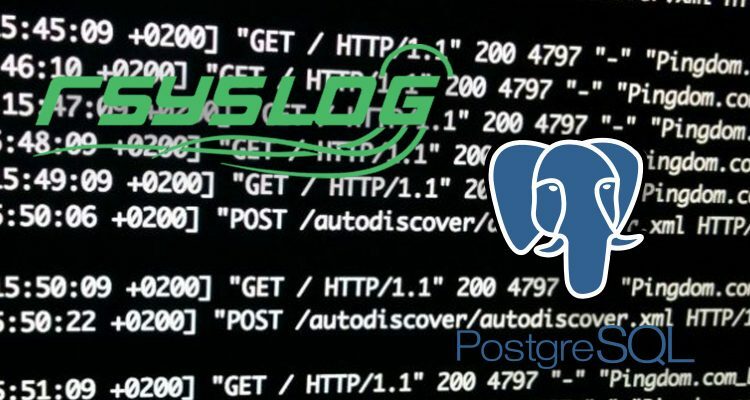 First, let’s configure nginx to log a json payload to a unique log file. # Optional: Nginx userid module, useful for analytics. # Define a template for row insertion of your data. # "log_line" (with the log payload) and "created_at" (with the timestamp). # above to insert it into Postgres. The above configuration should be pretty performant as the “linkedList” queue.type argument supplied to the ompgsql action is instructing Rsyslog to buffer/batch its writes to Postgres. You can read about the performance tweaking that is available for ompgsql in an excellent article, “Handling a massive syslog database insert rate with Rsyslog“, which was written by Rainer Gerhards himself (primary author of Rsyslog). Quiet informative Post. I am using a relatively simple approach http://ahmermansoor.blogspot.com/2018/08/configure-central-logging-server-in-linux.html. But I will now modify the configurations according to your Post.